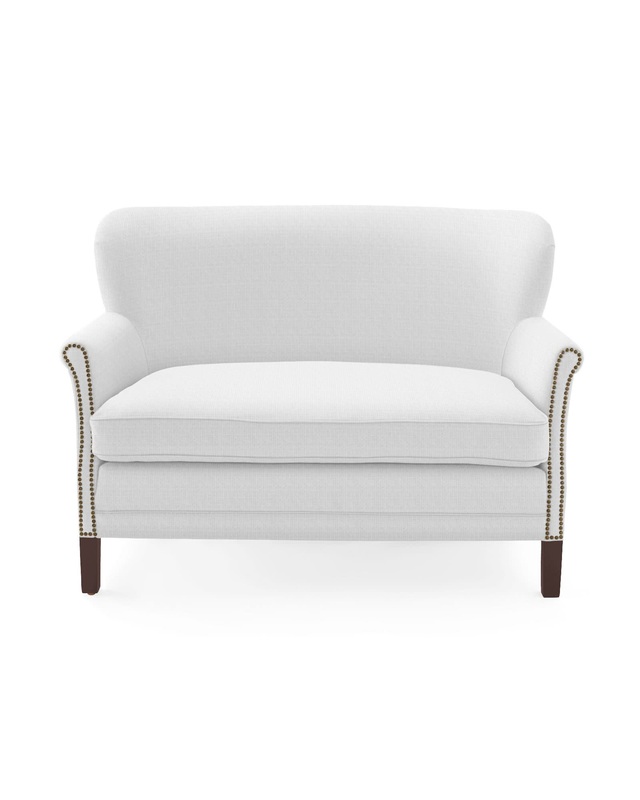 Belgian Club Loveseat with NailheadsBelgian Club Loveseat with Nailheads, alt="Belgian Club Loveseat with Nailheads, "
Print This has all the best qualities of its eponymous chair, but with room for two. 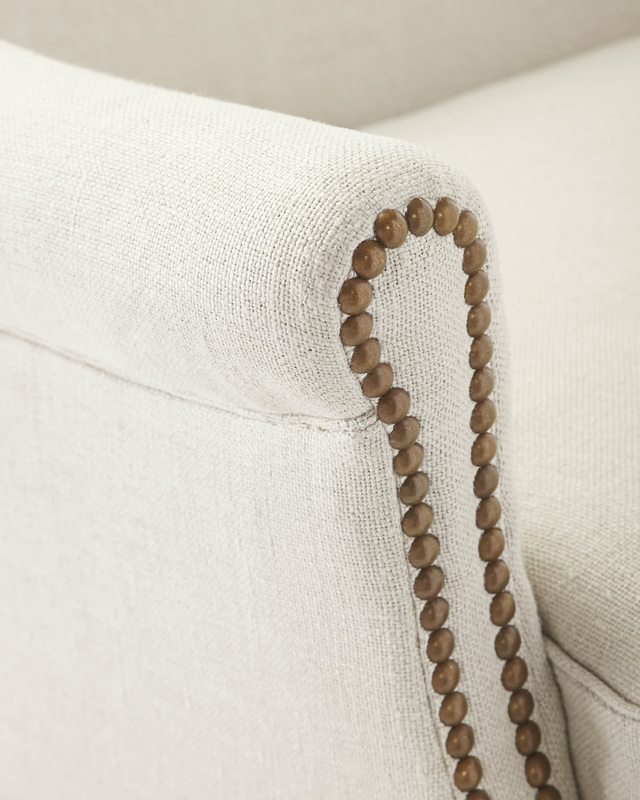 European styling and a neat nailhead trim make it a classic. 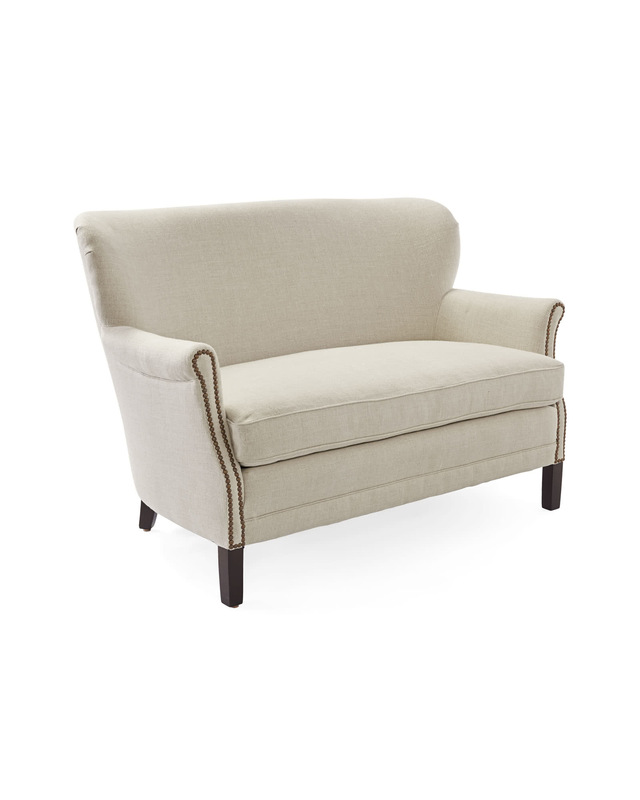 A gently curved back creates a graceful silhouette and the petite scale means it’s perfect for smaller spaces. Meticulously crafted with a kiln-dried hardwood frame for lasting durability. Seat cushion is made from sustainable soy-based foam. Padding is made with soy-based foam and fiber batting. Nailheads available in Natural Brass or Nickel finish. 50"W x 32"D x 33"H overall.